We have been producing quality products that comply with the highest demands for 100 years . 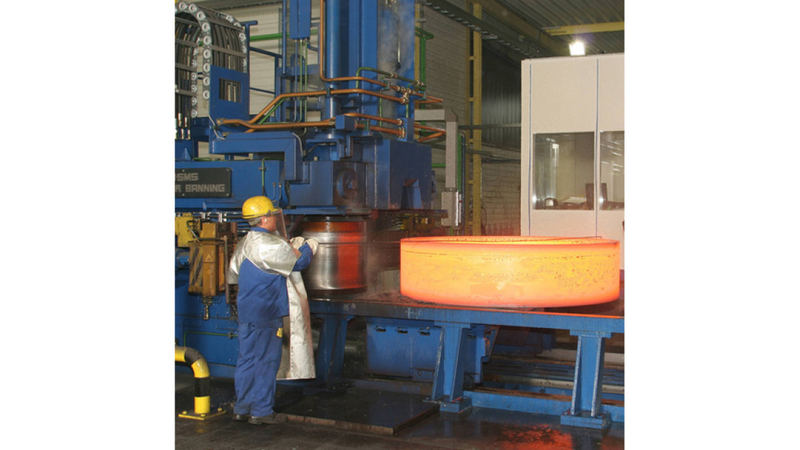 Our ultra-modern ring rolling machine is able to form seamless rings up to a diameter of 3,000 mm. After the conditioning in the CNC-controlled turning and milling machine, the seamless rolled rings are ready for installation. Technical data: - Max. weight per piece: 4,000 kg- Max. external diameter: 3,000 mm- Max. height: 630 mm (forged parts: 1,200 mm) Explore the product range of our ISO-certified company. We provide more than 400 tested materials: Steels, nickel-basis-alloys, NE-metals, aluminium, copper and bronze materials.